I am just enduring my pain for many years now and I do not use much pain relievers until just recently when the joint pains got more intense and so profound that my usual NSAID didn't work as I would expect it. Now with a little bit of research I have found that Celecoxib is the thing that I should take because it reduces or block the hormones that causes the inflammation and pain and now I can feel the relief already after taking a capsule for about after an hour. 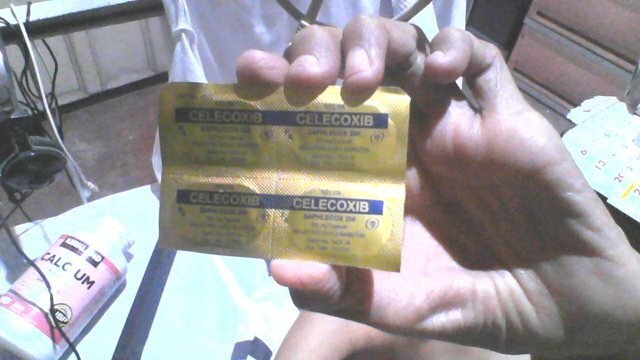 Celecoxib is a nonsteroidal anti-inflammatory drug (NSAID). It works by reducing hormones that cause inflammation and pain in the body. Celecoxib is used to treat pain or inflammation caused by many conditions such as arthritis, ankylosing spondylitis, and menstrual pain. I just need some relief so that I could walk without screaming in pain and I hope that this type of medicine could have a more positive impact in my pain management. This medicine just costs me about two dollars for ten capsules, so it is relatively affordable for me to procure myself without burning my pockets. I am also taking some Ibuprofen tomorrow because I want some added relief before using the toilet/bathroom prior to my dialysis. My doctor have prescribed me a medicine that contains 750 mg of Paracetamol and it tells me to take it three times a day. But I have observed in a lot of instances already my co-patients went dead from a liver failure because of taking too much paracetamol so I am cautious. The other dialysis patients who were told to take it for similar pain issues went yellow and then they just died so I do not want to end up like them that is why I am not taking what my doctor prescribed for me. I am just forced to take this kind of analgesic because I needed it as there are no more alternatives for me to take of from either natural or artificial sources except for these types of anti-pain medications which I hope that will help me for the long term. But the serious side-effects are real and I will just take precaution so that it won't do much damage than it will give benefits. Hello, everything that relieves your pain is good, hopefully that analgesic does not cause you side effects and be an ally for your pain. God bless you, warrior. Hope it keeps working for you!